Obadiah’s 1600 Non-Catalytic Freestanding Woodstove by High Valley is highly efficient and durable. It exceeds emission standards set by the EPA and even Washington State! Producing 60,000 BTU’s and designed with a stainless steel re-burn system to maximize performance, this rustic wood stove can heat spaces up to 2,700 square feet and burn steady for up to 15 hours. Whether you are high in the mountains or low in the valleys, this wood-burning stove can be the focal point of your home with the optional Traditional Style trim kit and rivet accents. 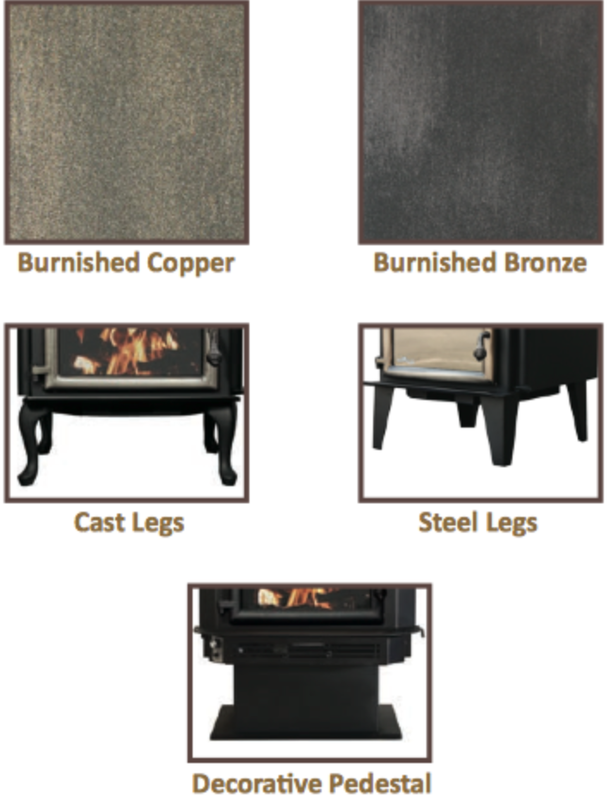 Obadiah’s has partnered with High Valley Stoves to bring you durable and efficient woodstoves. After spending over a decade interacting with countless manufacturers and customers on how to get the most out of home heating, Obadiah’s is able to bring a seasoned quality to their stoves, that you simply won’t find anywhere else. As always, Obadiah’s puts the customer’s trust first because without our customers, there is no Obadiah’s.